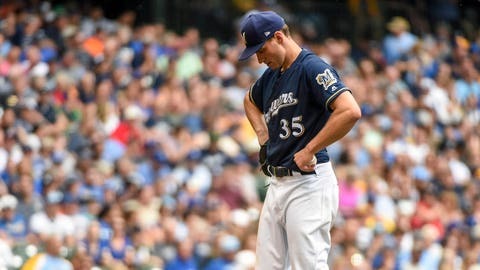 MILWAUKEE — The Milwaukee Brewers placed left-hander Brent Suter on the 10-day disabled list Friday with forearm tightness. “It’s a minor injury,” Counsell said. “I think you’re always cautious when a pitcher has a forearm injury. At this point it’s a minor injury, but it’s important we don’t let it become something big. So that’s why we put him on the DL. “He’s on line and he’s ready to go,” Counsell said.